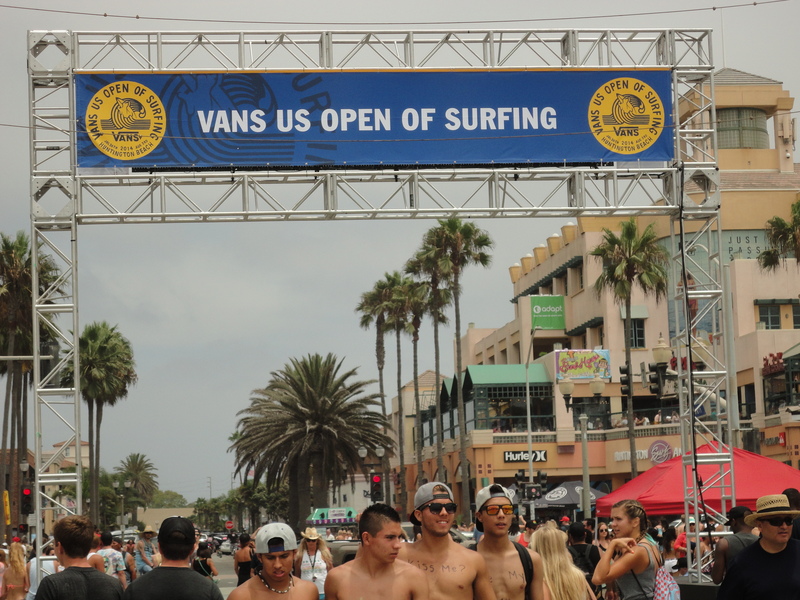 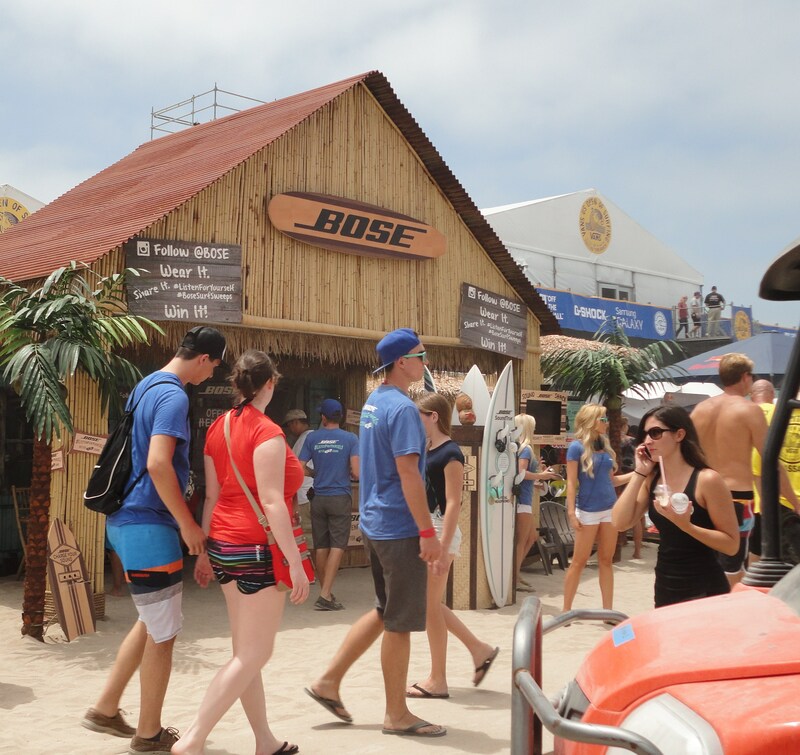 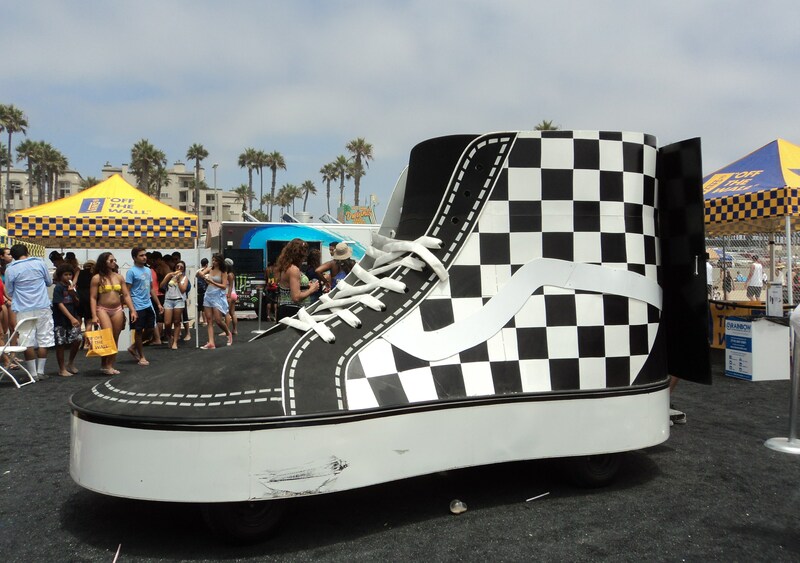 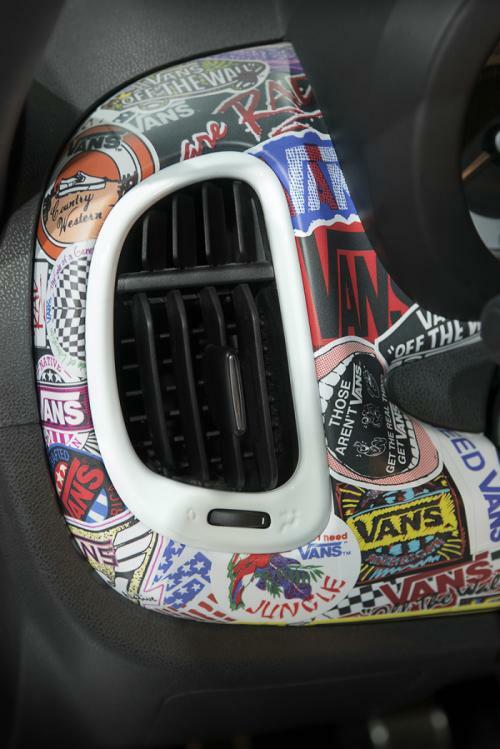 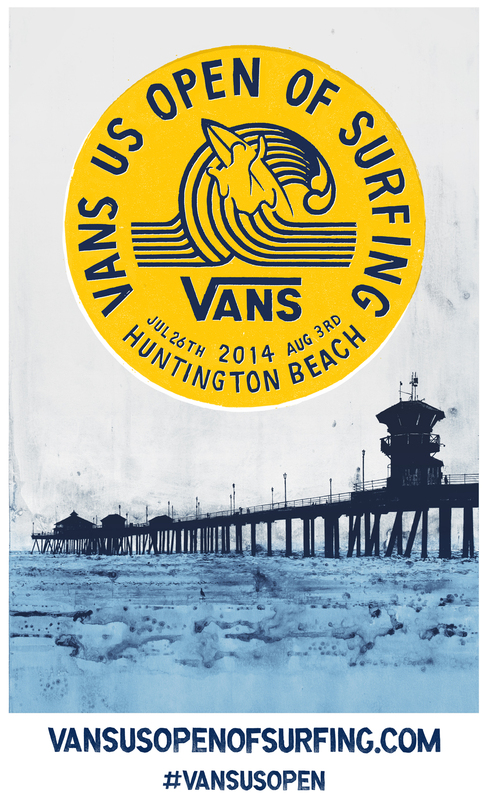 Action footwear and apparel brand Vans is front and center again for this year’s US Open of Surfing (USOS) in Huntington Beach (July 26 – August 3). 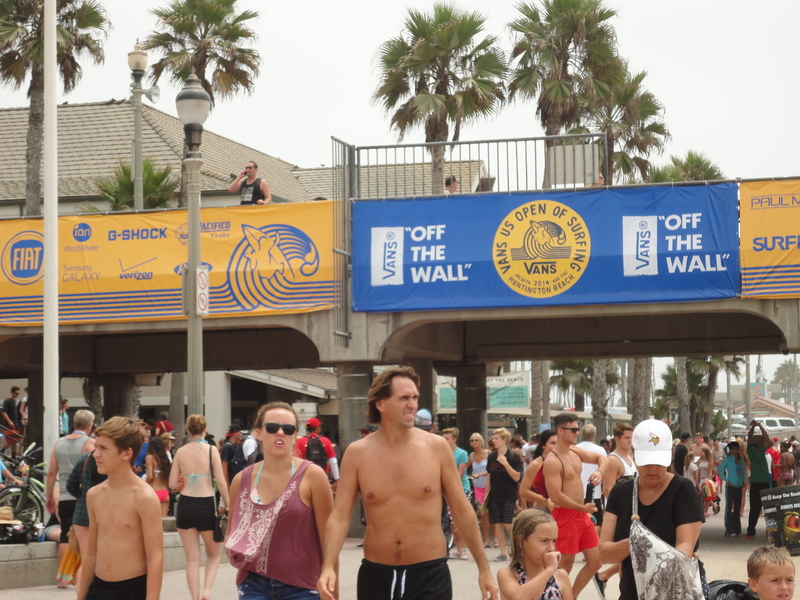 Taking in the sights by the pier, SurfWriter Girls Sunny Magdaug and Patti Kishel could see that event sponsor Vans is focused on making sure that everyone can share the stoke…especially the community and families. 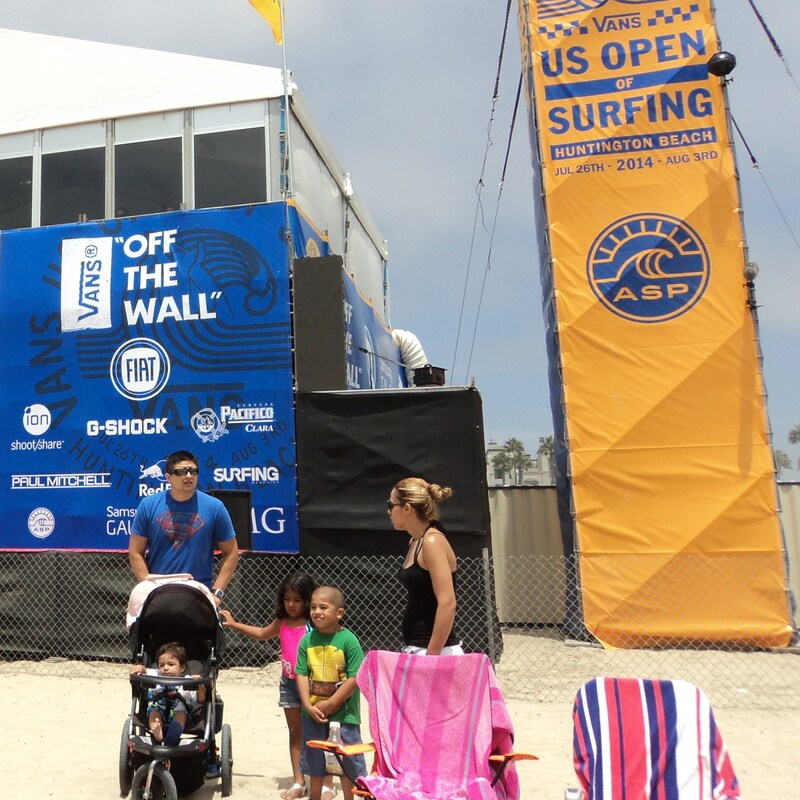 Along with the viewing stands, giant skate bowl, sponsors’ village and on-site Vans retail store, there are areas set aside for family movie nights and activities. 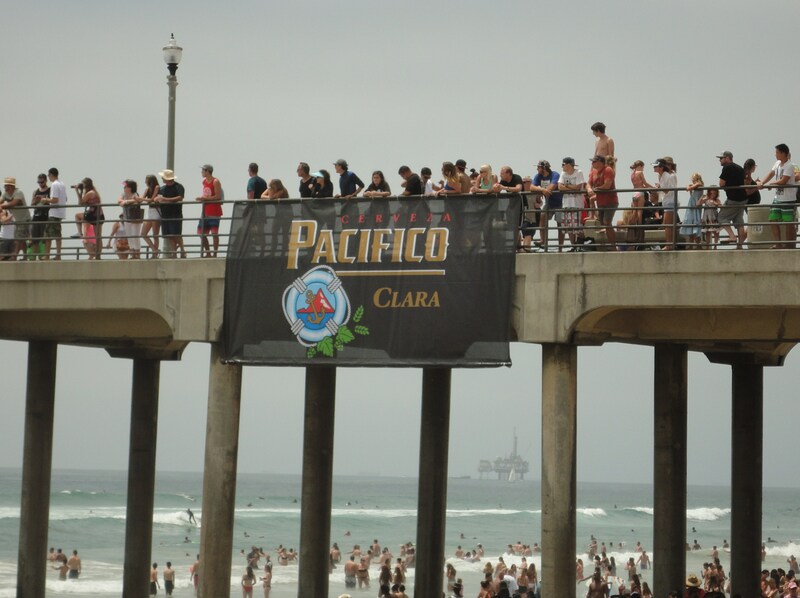 This year’s USOS is particularly special because it coincides with Surf City’s 100 Years of Surfing anniversary commemorating the first time that the HB Pier was surfed – by Hawaiian surfer George Freeth – in 1914.
along with surfing great Kelly Slater (11-time ASP World Surfing Champion) and local favorite Brett Simpson, who’s won the USOS twice. 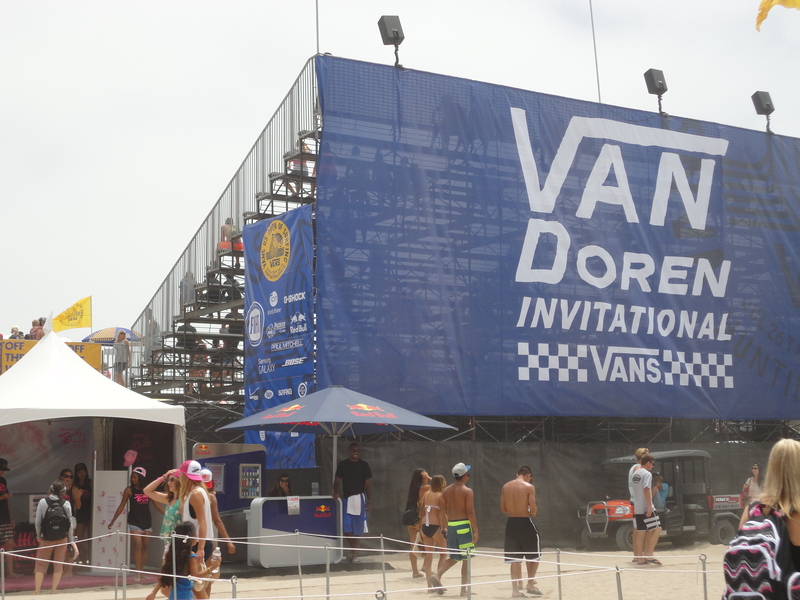 Other top surfers in the men’s lineup include: Jordy Smith, Julian Wilson, Kai Otton, Nat Young, Josh Kerr and C.J. 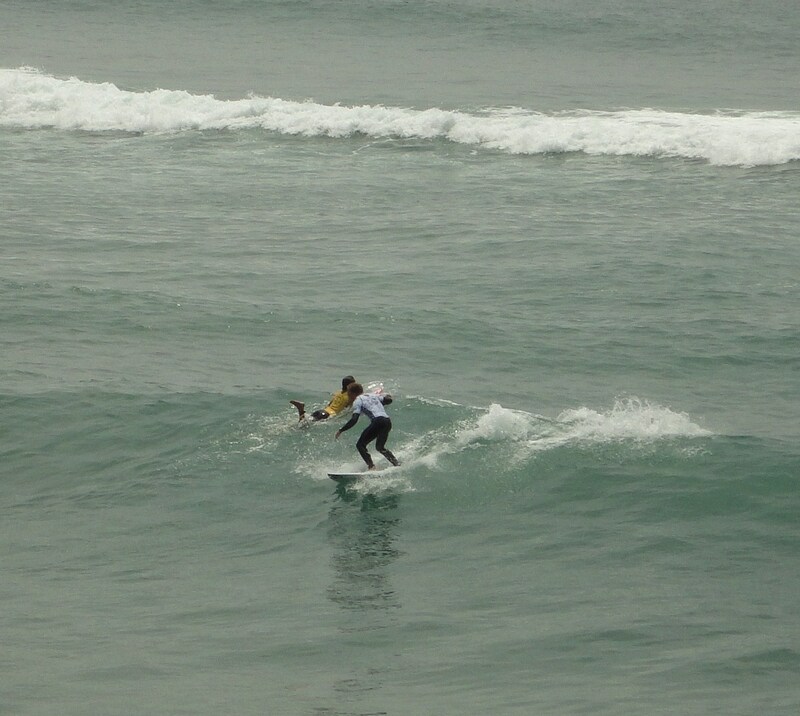 Hobgood. 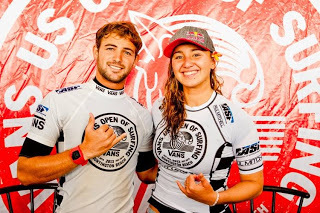 Among the women competitors are: Sally Fitzgibbons, Stephanie Gilmore, and Tyler Wright. 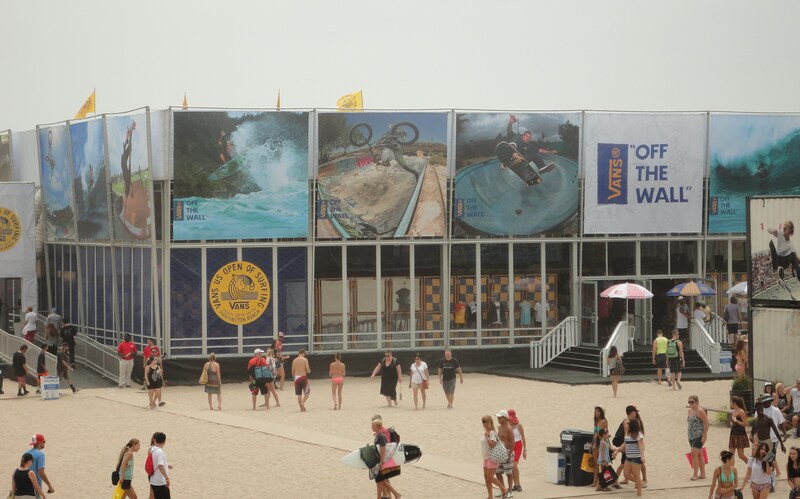 During the week 500,000 people are expected to come out to watch the competitions and join in the festivities. 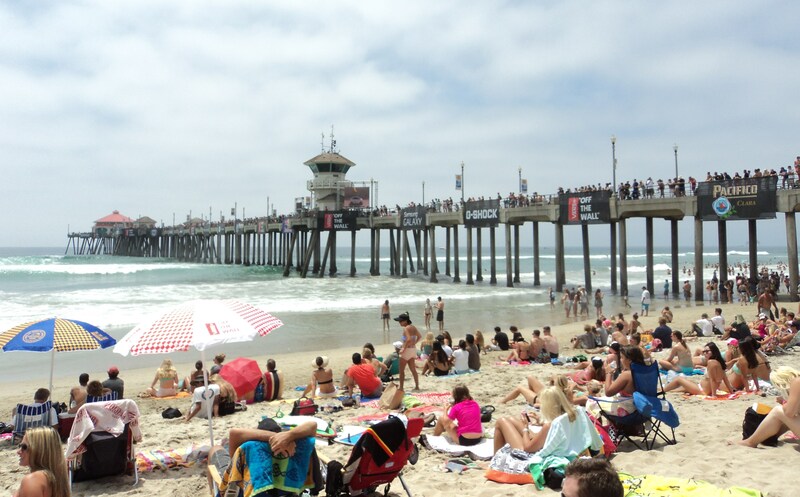 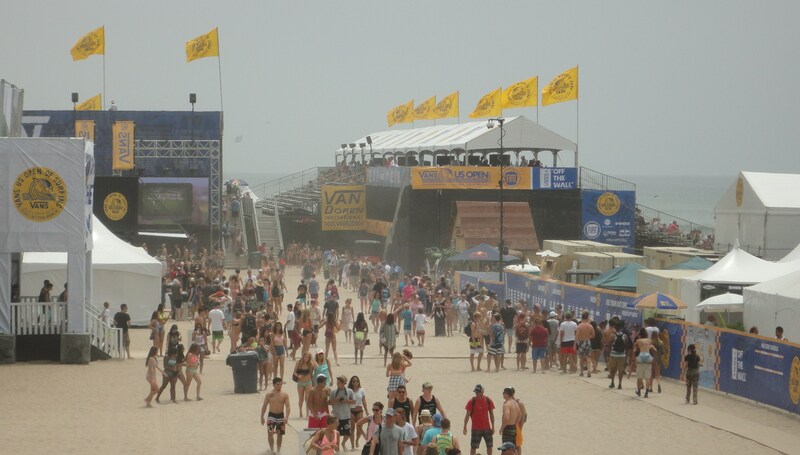 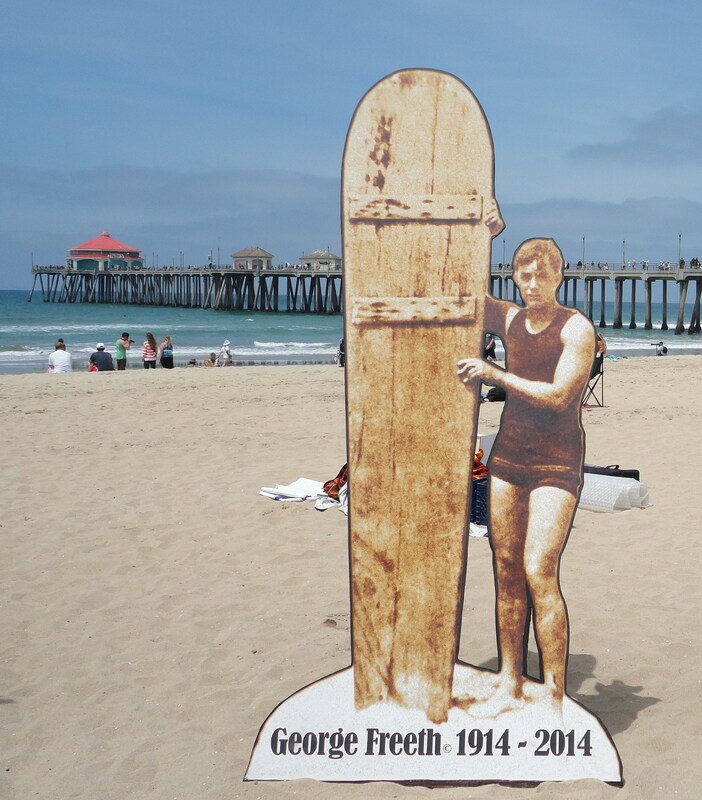 The Open not only generates a lot of enthusiasm for surfing, but adds over $20 million to the OC economy. 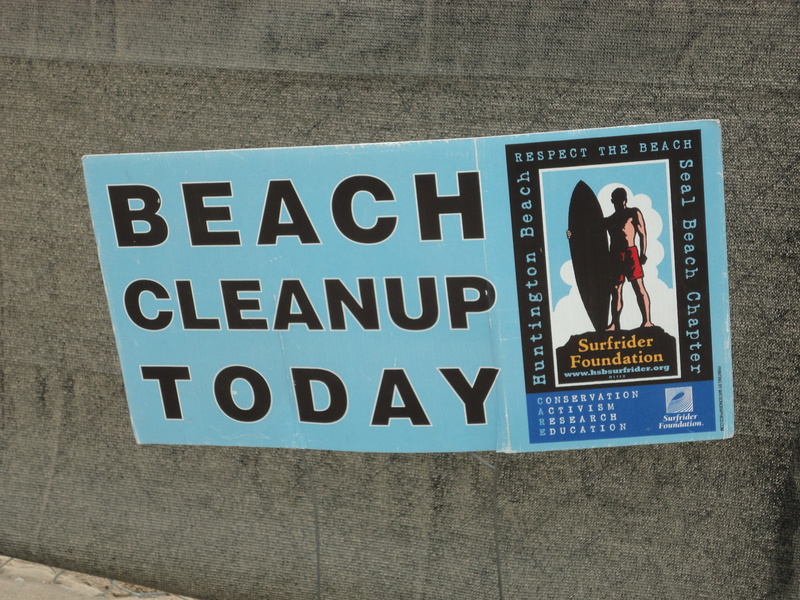 and teens – lots of them! 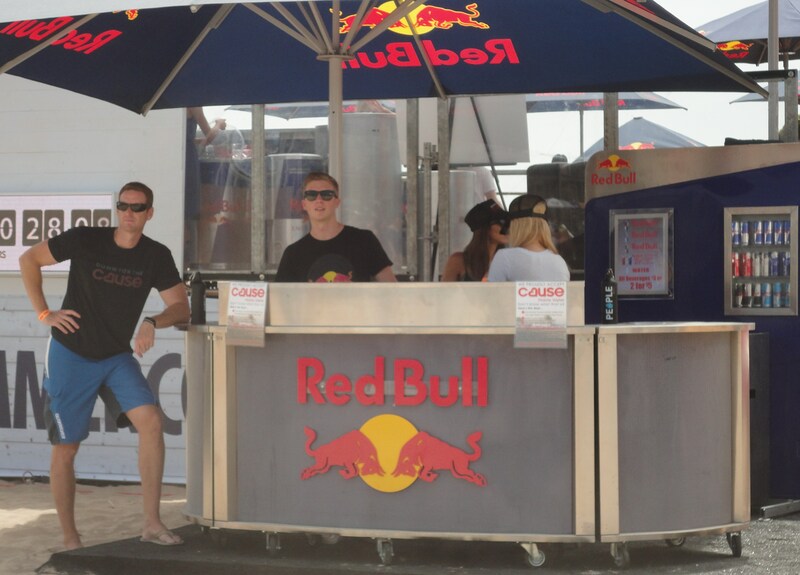 – hanging out with friends. 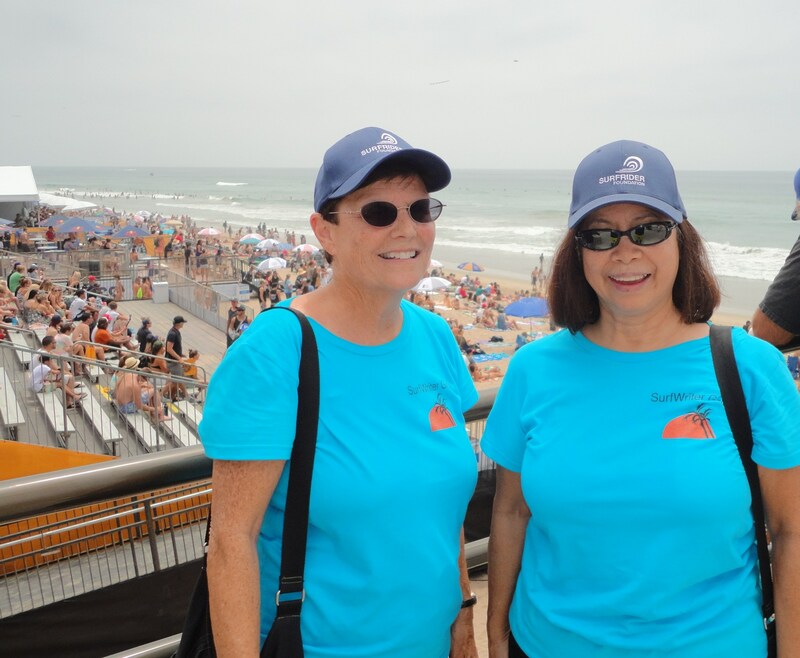 Just North of the HB Pier SurfWriter Girls saw Surfrider Foundation volunteers manning the Huntington/Seal Beach Chapter’s booth giving out information about its environmental programs and organizing beach clean-ups. 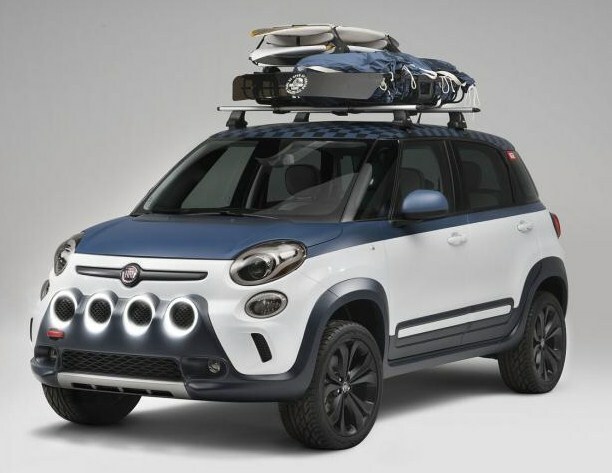 Fiat was back again with its dune buggy-sized 500L – introducing a concept car inspired by Vans. 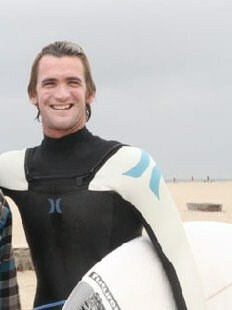 The hair stylists from Paul Mitchell had their scissors ready. 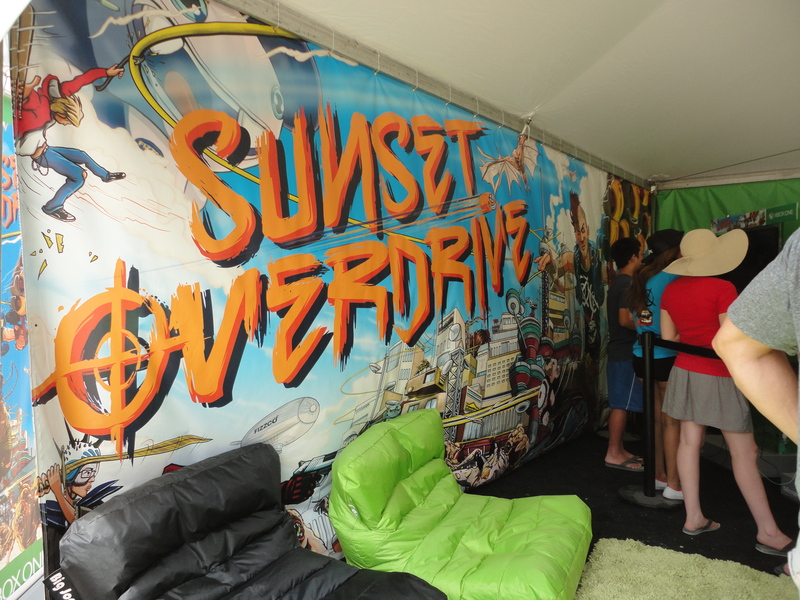 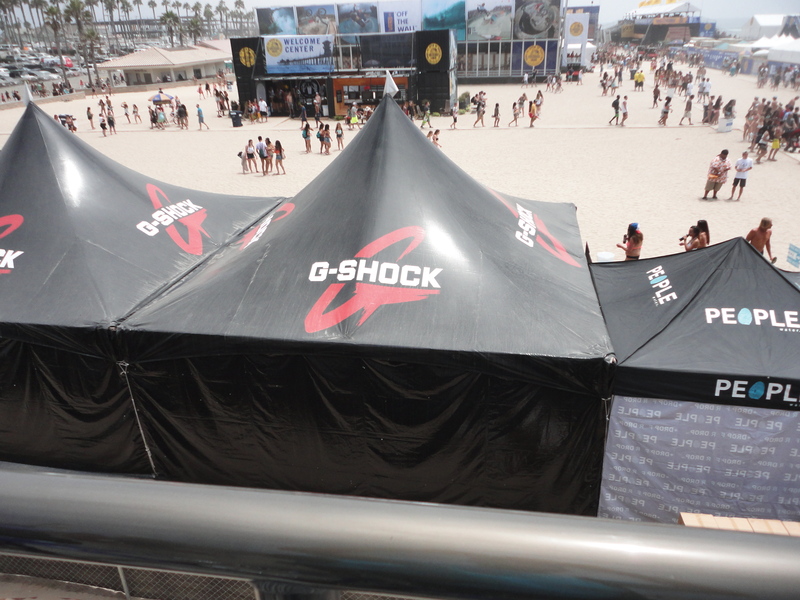 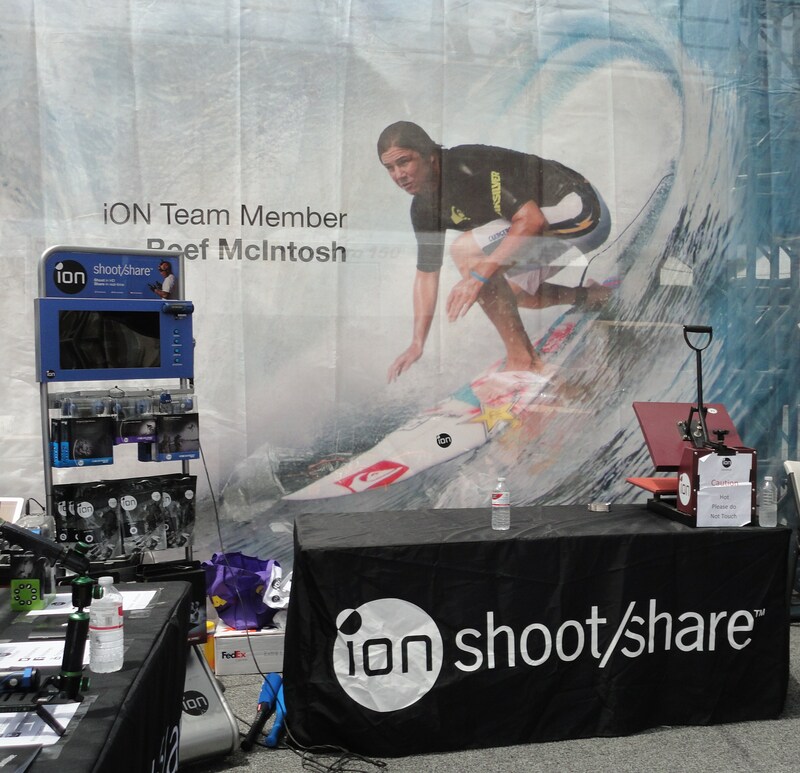 Pacifico beer, G-Shock, Ion Cameras, Xbox, and Red Bull and were all drawing crowds. 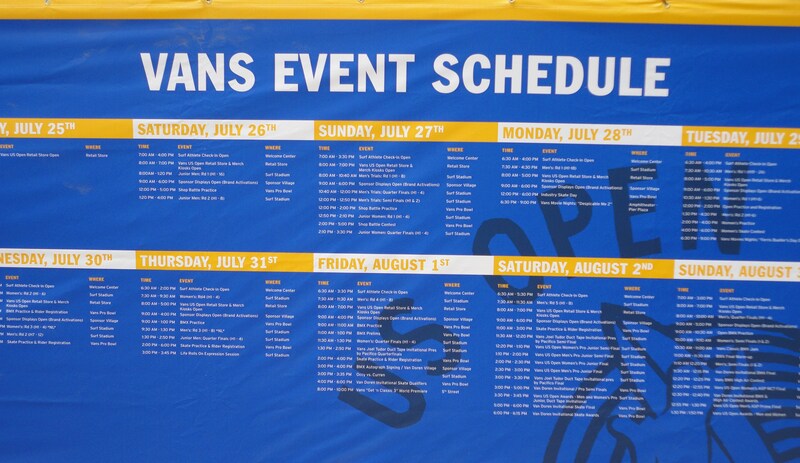 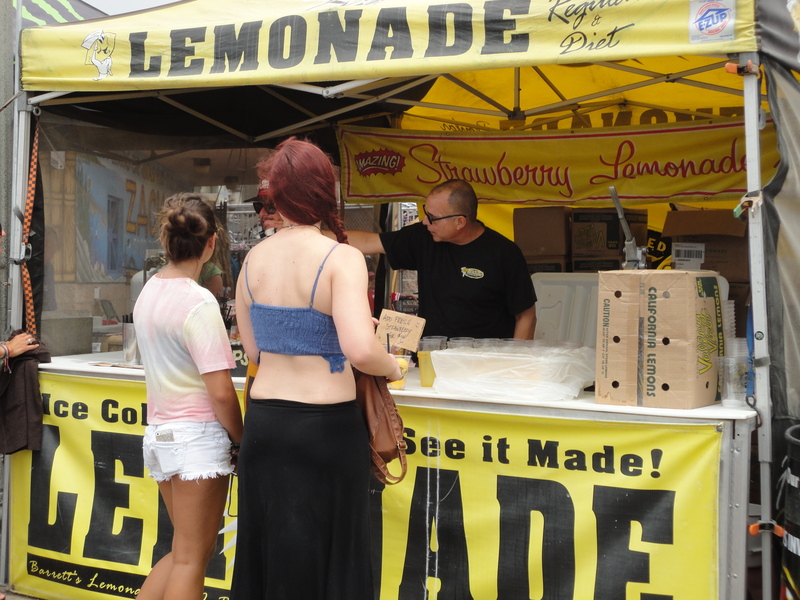 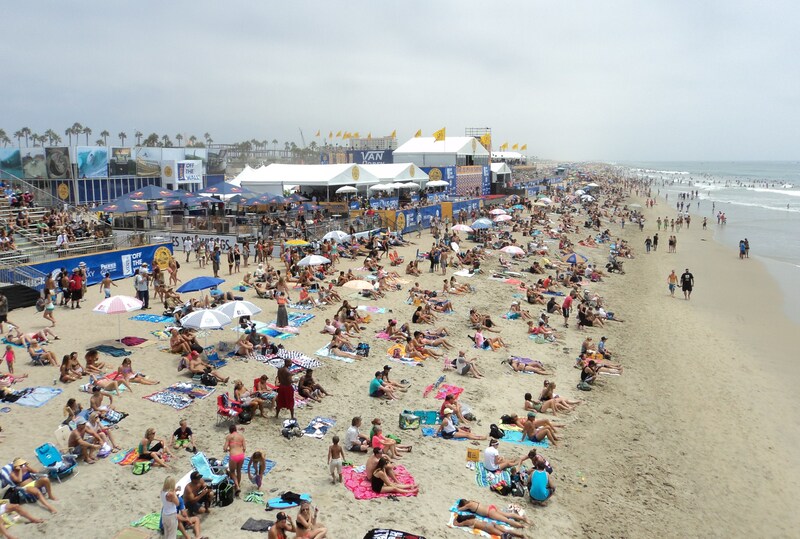 All in all, it was another laid-back day in paradise…at the US Open of Surfing.